Beth Heit’s installation, what we hold close / what we let go is being exhibited at the Catskill Art Society until August 28th. This solo show features her still life mixed media assemblages. 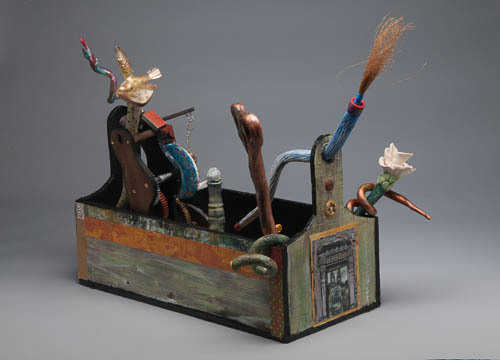 Ms. Heit’s assemblages consist of her clay sculptures combined with items curated from her collections of found objects, collage and personal images. CAS is located at 48 Main Street, Livingston Manor, NY. The gallery is open Sundays, 11am-3pm, Thursdays, Fridays, Saturdays & Mondays,11am-6pm. Beth Heit’s work was also included in an online article by Artsy Shark about Art & Meaning.